The South Asian Women’s Community Centre is pleased to announce the second round of the annual Sadeqa Siddiqui Essay Writing Competition. On November 1, 2014, we at the Centre celebrated Sadeqa Siddiqui’s retirement from the position of Centre Coordinator. Sadeqa had been with us from almost the beginning, working with great dedication. For her it was not a position but a vocation. We could not think of a better way in which to honour her indescribable contribution to SAWCC by holding an essay writing competition. This is an annual competition. 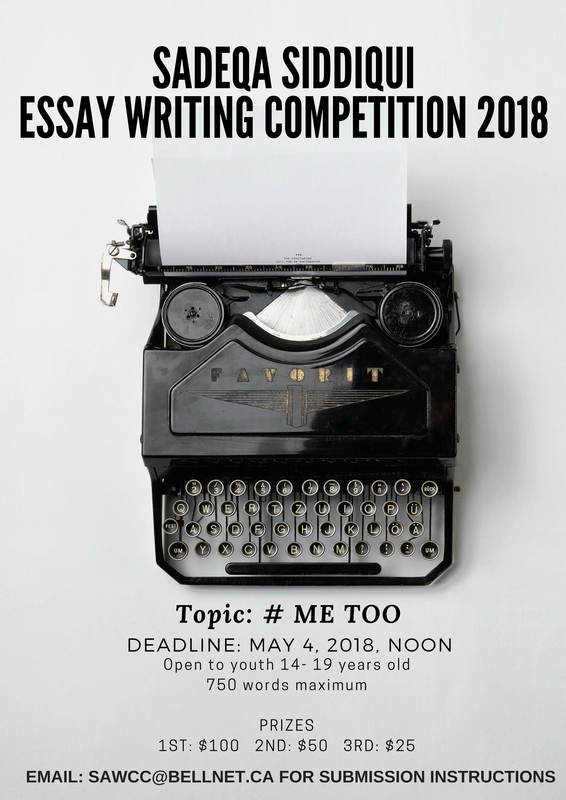 The deadline for submissions is May 4, 2018. Please see the forms attached below with the rules and instructions, as well as the form of submission.